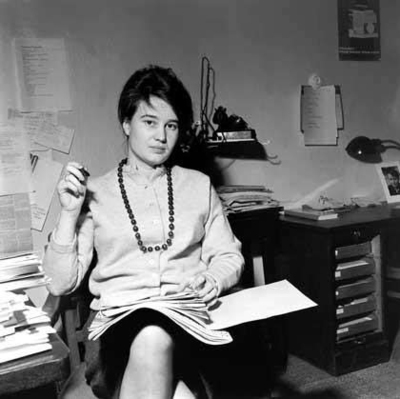 Ulrike Meinhof (1934–1976) was one of the most influential thinkers of the German Left in the 1960s, known primarily through her columns in the magazine konkret. She became an internationally known fugitive when she aided in the prison escape of Andreas Baader and formed the Red Army Faction, also known as the Baader-Meinhof Gang. Meinhof was imprisoned in 1972 and found, four years later, hanged in her cell.